People for the Ethical Treatment of Animals (PETA) has announced the winners of its annual Fashion Awards and more leading brands than ever before have made the cut. This year, a growing number of labels turned their backs on the fur industry in support of the animal rights movement. In recognition of this, the likes of Coach, Burberry, Diane von Furstenberg and Michael Kors have been named as winners in PETA’s biggest luxury fashion moment category. Further emphasising the progress made, it’s interesting to note that Gucci was the only brand to make the 2017 winners list after ditching fur last year – after over 20 years of protests. Over 300 high street retailers, including Mango, H&M, Topshop and Zara, have also been mentioned in this year’s awards round-up after committing to a ban on mohair. In regards to the digital sphere, Asos was named the most progressive online platform in light of its ban on mohair, silk, feathers and cashmere products earlier this year. Meanwhile, Helskini Fashion Week took home the trophy for PETA’s most progressive event of the year due to its decision to ban leather on the catwalk. 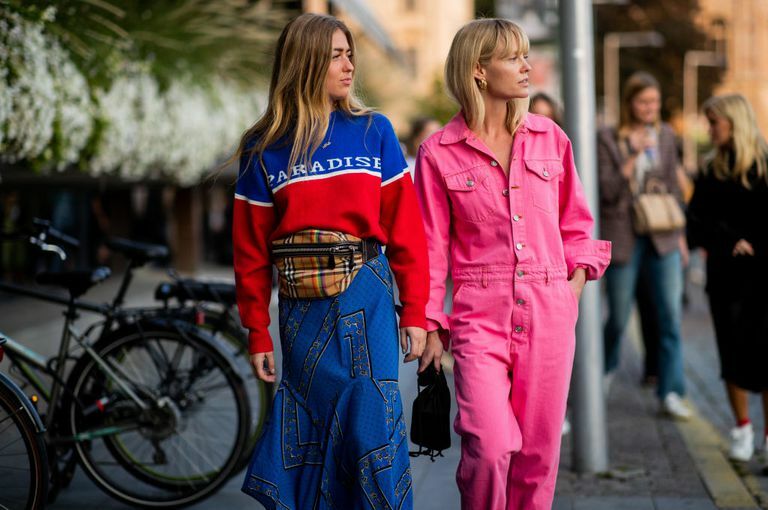 London Fashion Week also echoed this gesture at the spring/summer 2019 shows after pledging to go fur-free for the first time in history. London-based vegan fashion house Felder Felder was also given credit for its collaboration with Ecoalf on a capsule collection of waterproof coats – crafted solely from sustainable materials. Other notable winners include brand Alexandra K (for its chic apple leather bags) while London-based label Jakke was praised for its wool-free collection. Unsurprisingly, French trainer giant Veja took home the prize for best vegan shoe line with its street style-worthy designs now a firm fixture on our Instagram feeds. The full list of this year’s winners can be found on PETA’s website. From Madonna’s family photo, to J.Lo and A.Rod snuggling in bed.